Did you know there’s no single way to make donations to foster children and foster homes? Donating money itself can be difficult for many people, but reaching into your pockets isn’t the only way you can donate. Indeed, most organizations know that it isn’t always possible. Luckily, there are multiple ways to give to children. Most people living in the U.S. have a variety of health and beauty products they use at home. 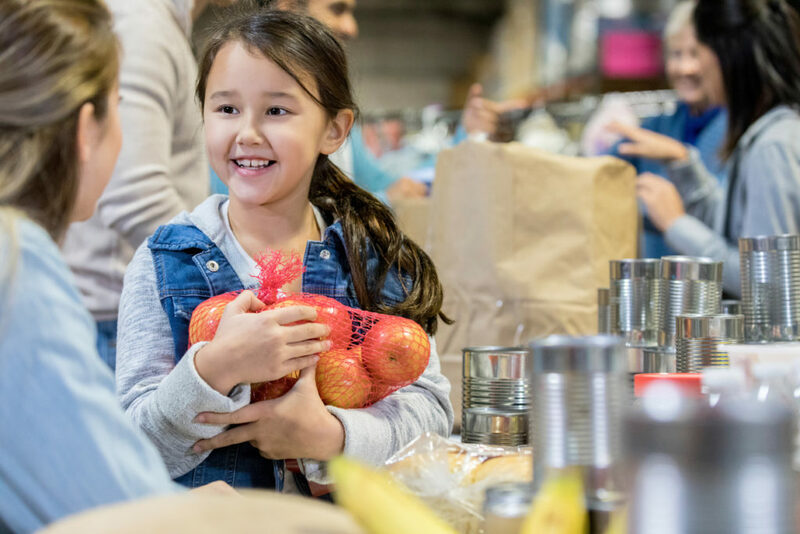 Having access to healthy, clean items that can be used daily would make a significant difference in the lives of foster children who can receive those products. This would also provide some help for the families who are supporting them day-to-day. Next time you’re out shopping, grabbing a few extra items for promotion, especially if you see there’s a sale, could make an impact. Cute elementary age girl smiles as she donates a bag of apples during a community food drive. For more information, contact us so we can lead you in the right direction. Foster children need help and support so they can live their best life. Working together can make a huge difference in their life.